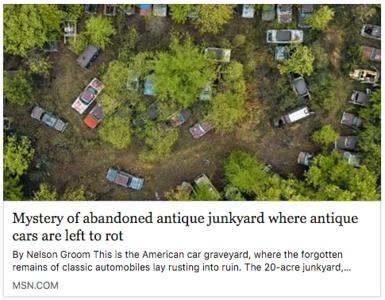 The drone footage that I shot over the abandoned antique junkyard in Arkansas was featured on MSN. All of my images & the story of this amazing place are in the gallery, check it out especially if you're a fan of classic cars & the general history of Americana. 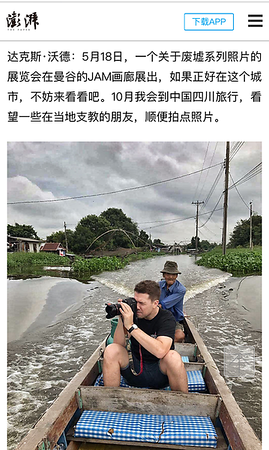 A very popular news site in China, thepaper.cn, published an interview that they did with me regarding my photography work. From what I've been told (I don't read Mandarin!) it's a very well-written piece & I'm very happy to share my images & stories with a the educated readership of thepaper! I have an exhibition coming up at JAM in Bangkok! Opening night & party is May 18 & the show will run until June 8. If you happen to be in Bangkok at that time please come by and have a look at my work! 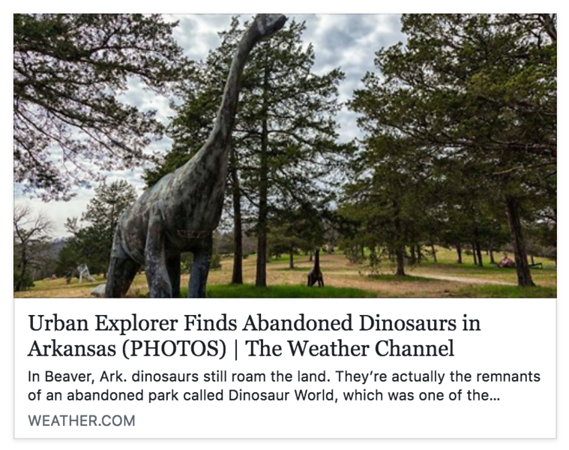 More images from my Dinosaur World series were also featured by the Weather Channel! This is the second time that the WC has published my work & I'm really happy to have it on their well-trodden website. This dino world series has turned out to be pretty successful, with three publications featuring the pictures & story. I never really know which ones are going to be popular, it always pleasantly surprises me when they are! UPDATE *This story was also published on Bluewin news in Italian & German! 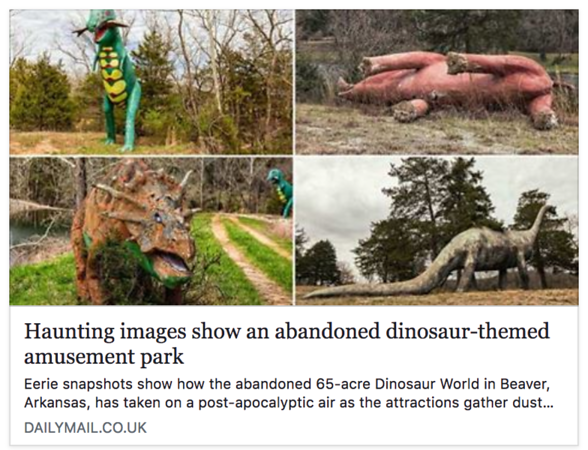 My series of shots from Dinosaur World in northwestern Arkansas was published in the Daily Mail UK as well as on MSN. I'm always especially pleased to have my pictures featured in the Mail as they allow the images a large format for best web display. 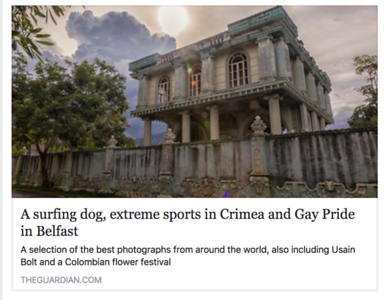 It was a fun place to shoot & explore & it has a colorful history in my home state, so I'm always very glad to be able to share my images & a bit of the history of the location on these popular news sites. 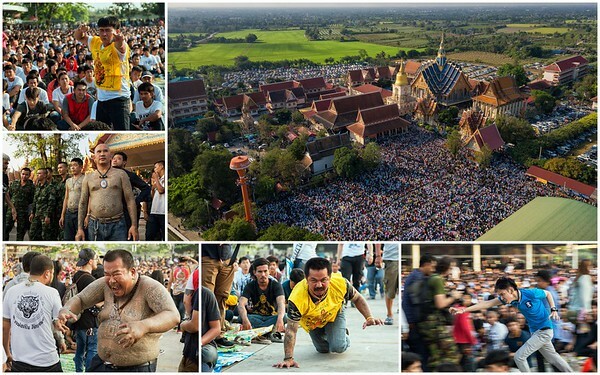 I just saw that my pictures from the Sak Yant ('magic tattoo') Wai Khru festival were published in MSN! Really happy to be featured on this well-read news site for the first time & to have my photos from such a unique cultural event shared to a wider audience. 03/04/2018 - PUBG Map Released! Back in Feb I worked with some game developers on a photogrammetry job for the crazy-popular Playerunknown's Battlegrounds (PUBG) 'battle royale'-style PC & Xbox game. 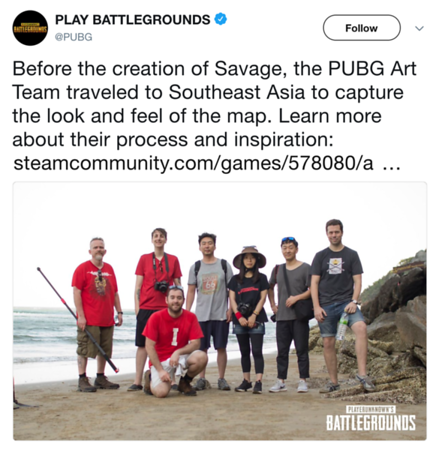 We shot pictures at some awesome locations around Thailand in order to produce assets for a new game map called 'Savage' which has just been released in beta version! It's so exciting to see my images come to life in 3D form in this map, in the form of multiple rocks, trees, walls, and ground areas. This was some of the most fun and interesting photography-related work that I've done and I'd really love to do it again down the road. Much love to the PUBG developers & their crew from Blue Hole, best wishes on the full release, I know they're gonna kill it! 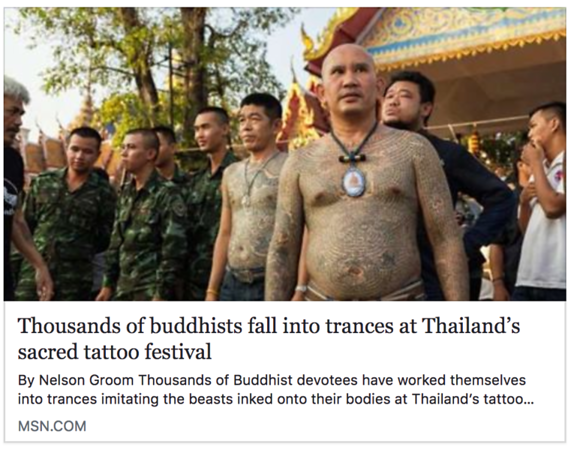 I shot the insanity of the Sak Yant 'Wai Khru' Magic Tattoo Festival in Nakhon Pathom on Saturday. It was a unique spectacle to witness, to say the least. Full details in the gallery. I had the awesome opportunity of working with some game developers from the US & South Korea who are the makers of a HUGE PC/Xbox game. 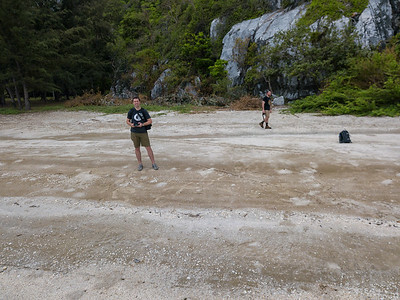 We did some photogrammetry work at different locations around Thailand as I acted as both a photographer and a guide. I can't reveal too many details until after the new game map is released, but it was an extremely interesting and exciting experience. I had a great time and learned a lot about capturing 3D 'assets' to be used in game development, flying my drone & shooting DSLR images. Hope to do more of this kind of work in the future as it was such a blast! I've been working with Honey (Nine) Travel lately to put out a couple of my series as features. The first one was published recently & I'm really happy with the selection of images that they chose. It's great to work with such a popular publication and I'm really glad to be able to reach a wider audience in Australia with my pictures & stories. 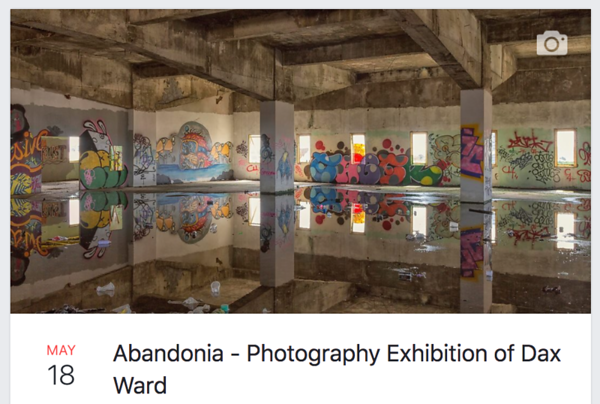 Some of my abandoned prison images were published in a feature in Nine Travel, a well-read Australian news site that has featured a few of my stories in the past. I'm really pleased to have the pictures published as the prison is a really interesting place with a very 'colorful' history. I put together a series of pictures from a place in my neighborhood in Bangkok that I regularly visit. 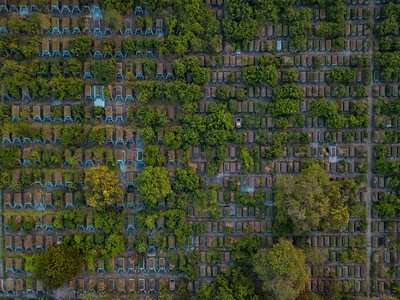 The Tio Chew Chinese Cemetery is a unique place in the city that always has something interesting to shoot. I recently picked up a drone so that I can get some aerial shots of the different places that I document, so I was able to get some pictures from overhead at this location. 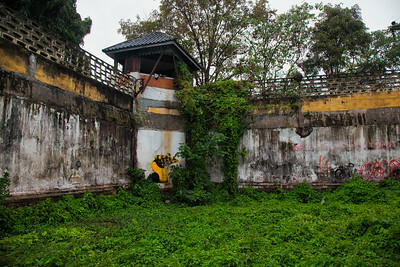 I spent several days shooting abandoned sites around Chiangmai in northern Thailand this past week. 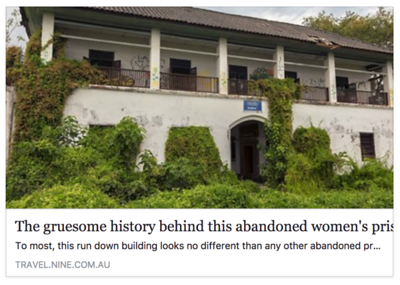 The one that was most interesting to me and one of the more unusual places I've explored was the abandoned women's prison in Chiangmai city. The full series & some historical details are here. It was a creepy place with a violent history & a site where prisoners were executed by gunshot. 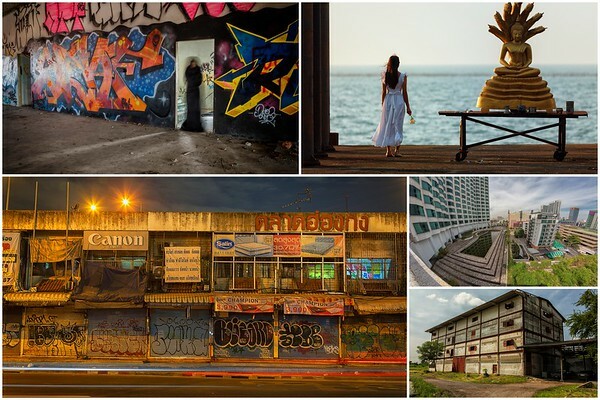 I've stayed fairly busy over the past month trying to document a few new places & revisiting some previous ones. I've been steadily adding images to my 'ghosts of abandonia' ongoing project, recently added a few pictures from a trip back to the Batman club. I also found this abandoned lacquer factory in the countryside of Samut Sakhon, and checked out this former 5-star hotel in Bangkok. I also revisited the Batman club in Pattaya to discover a makeshift bedroom someone sleeps and I shot a series at an empty market at night in Klong Toey, Bangkok. Finally, we went back to the Jittapawan abandoned temple-pier in Chonburi to get some new pictures of Mook in a white dress. 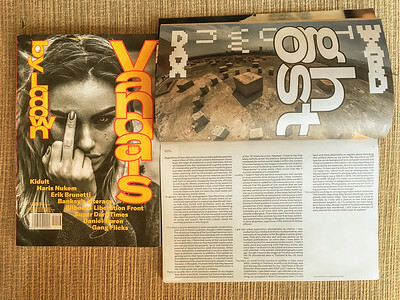 Stoked to be featured in Lodown Magazine's Vandals issue this month. Lodown is a wicked skate/street art/fashion/lifestyle zine out of Berlin that works with some amazing artists, so I'm humbled & happy to be in their print. 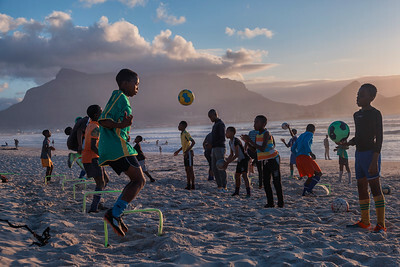 I've just returned from 2 weeks spent in South Africa, specifically in Cape Town & the Western Cape region of an awesome country. I shot some urban exploration series of an abandoned zoo, underground water tunnels built in the 1830's, 300-year old castle dungeons, an abandoned mine, abandoned steam locomotives, and a few other really interesting sites. I also got some great wildlife shots, street portraits, landscapes, and documentaries, all of which I''ll try to share on my social media feeds & this website the coming days & weeks. I have a scheduled upcoming publication on the Robben Island series, as well as the urban exploration images which I'm excited about! 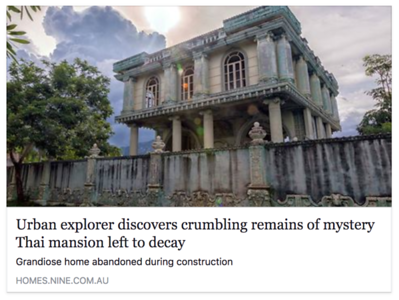 I'm really glad to have my series published from the abandoned beach mansion in Prachuap Khiri-khan, Thailand published in Nine.co.au, a popular Australian news site. It's such an unusual place that I feel needs to be shared with everyone, truly has to be seen to believe it exists. My full series from this site is here. 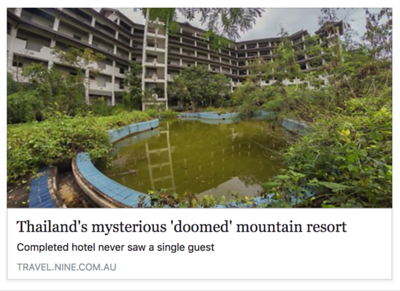 10/10/2017 - the daily mail published my hot springs feature! 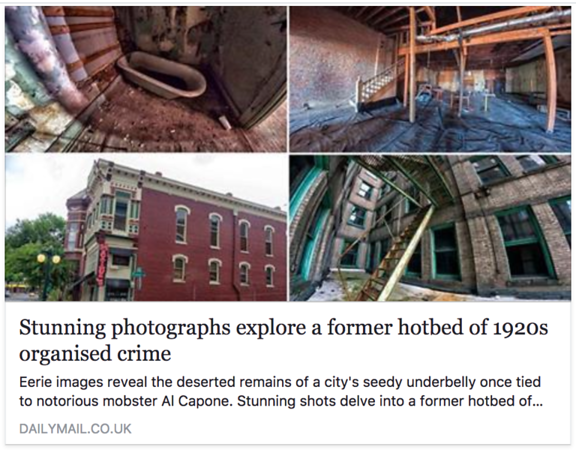 The images that I shot of three historic buildings in Hot Springs, Arkansas were featured in the Daily Mail, which I'm really excited about. I'm always pleased when the Mail picks up my images & the stories behind them as it gets the pictures some great exposure. This is very special as these very special locations are in my home state of Arkansas, and I got to share the experience of exploring them with my dad! Such great news, the full series of images from my Hot Springs shoots are here. 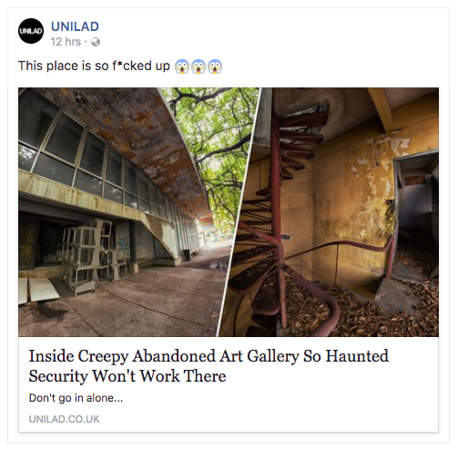 It was great to see Unilad publish one of my series today, the abandoned art gallery series that I shot a few weeks ago in Bangkok. It's a cool place and had a lot of potential for some good images, so I hope I did it justice with mine. Great to have the exposure on Unilad which has over 30 million followers on their Facebook page alone! 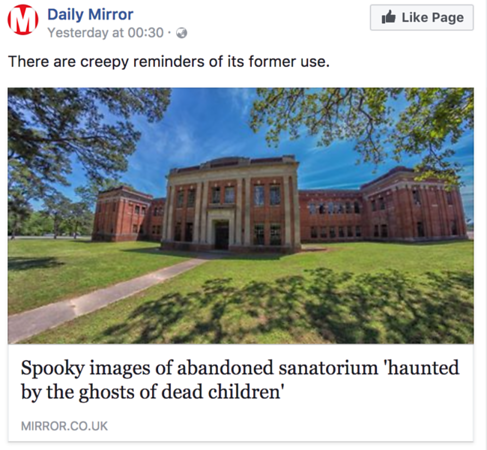 I was happy to get the usual Google alert that lets me know my name has been published in the news, in the Daily Mail yet again, this time for the sanatorium photos! I'm really stoked to have some more exposure for this series that documents a very special site in the Southern US region where I was born and raised. 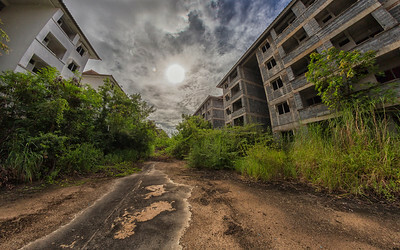 I did a solo exploration of an enormous abandoned apartment complex in Samut Prakarn, a few minutes drive outside of Bangkok. Many of the buildings are near completion, I suspect the project was abandoned due to the '97 financial crisis, as so many others were. A really cool place to explore, picturesque, and actually quite peaceful. I got a few decent images out of the trip, so it was certainly time well-spent. 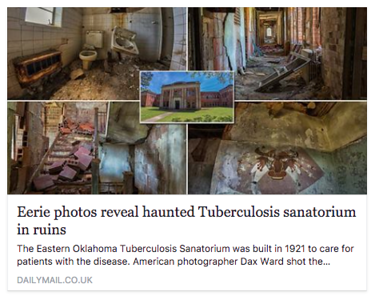 I was surprised & delighted to see that my photos made it into the Mirror in the UK again, happy to share my series from abandoned tuberculosis sanatorium with their many readers. 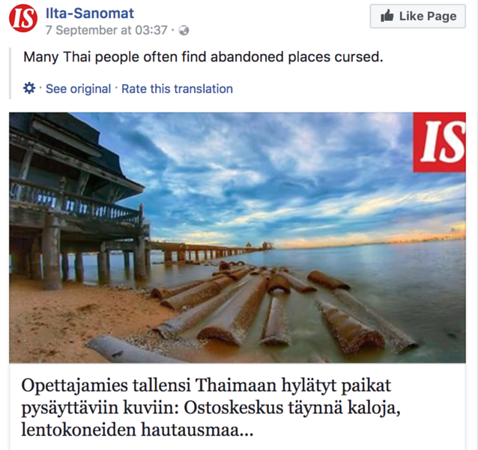 Really pleased to have my photos published in Finnish on (from what I understand) a popular news site in Finland. We got into a cool abandoned modern art gallery in Bangkok on Sunday, full series & some description is here. I'm really stoked to have my images & interview published in CNN Style ! I got an email from a colleague yesterday telling me to check the CNN front page, which I did, and saw the story in the middle of the homepage, which was awesome. (link to my image gallery here). 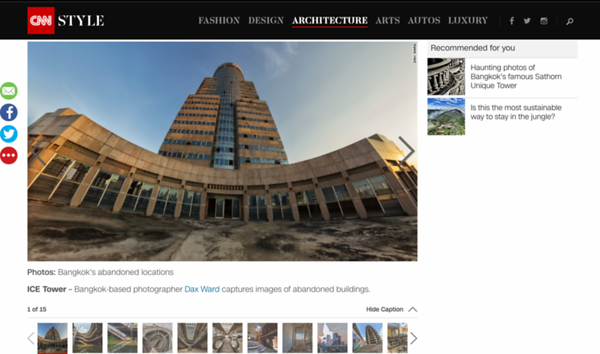 Another link to a gallery of my images on CNN is here. 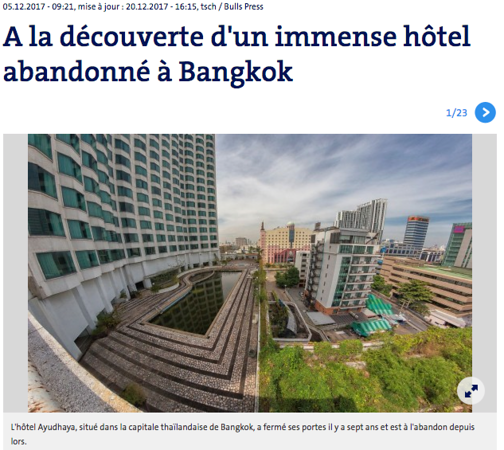 The pictures from the 'ghost tower' are not mine as I have not been in there (and have no plans to do so), though it is in my neighborhood of Bangkok. I'm really happy to receive some mainstream exposure and to be able to share my pictures with so many more viewers. I had the awesome opportunity to take photos at two UNDP-sponsored events last week, one of which was in Klong Toey, Bangkok to deliver donation goods to families in need. These are my selected photos from a great day spent in one of the most spirited communities in Bangkok. I was very happy to see that The Guardian published my photo in it's 'photos of the day' on Sunday the 6th. I was really lucky on the day of the shot to get some nice clouds & sky tones which matched the kitschy colors of the mansion. Really happy to be featured in a news outlet that I read regularly! Today I visited an area very close to my home which has recently been demolished to make way for a new high rise. 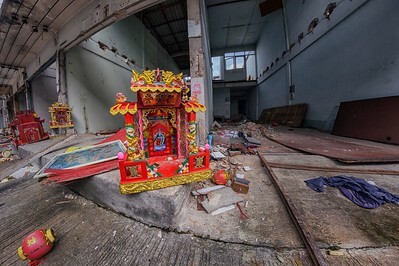 The 50 or so shop houses there were home to a number of Chinese-Thai families, noted as such due to the fact that they left behind their distinctive red Chinese-style spirit houses when they moved out. The people leave but the ghosts stay behind. Full series http://www.daxward.com/Sathu-Pradit-27/n-swx5FN/ place we visited today that's less than 1 kilometer from home, looks like a war zone.here. 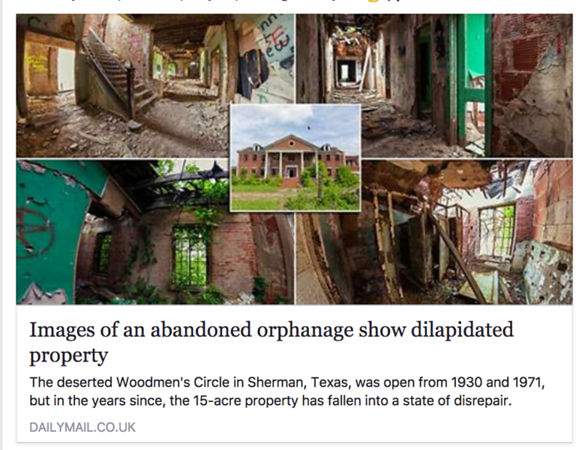 Was surprised & pleased to see my Woodmen's Circle Home photos published this morning in the Daily Mail. It is still a stunning location and I really enjoyed exploring and shooting on the eerie yet beautiful grounds. 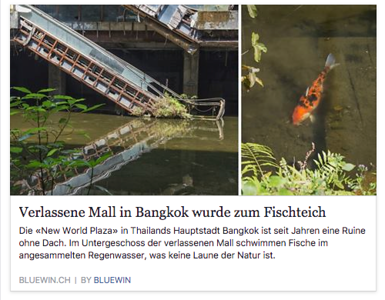 I just saw via web search that my flooded & abandoned New World Mall series was published on a Swiss/German news site. Very happy to have some more exposure in Europe & glad to have that story published as the mall is a very special place. 12/05/2017 - 'the cobbler' photo chosen as finalist in ozark photo challenge! I was very pleased to be notified today that a photo from my 'the cobbler' series has been placed in the Ozark Photo Challenge photography competition which features work from photographers around my home state of Arkansas and surrounding regions. It was chosen in the Journalism category and will be featured in the Mid-America Photography Symposium in Eureka Springs, Arkansas in late May, 2017. I heard about the competition on the radio by chance and submitted my photos by mail on the last available day! I had taken the pictures the day before in a very special cobbler's shop in Hot Springs, Arkansas, and my full series with a writeup about the gentleman who runs the shop is here. Very excited about this honor to have my picture featured amongst some of the region's top photographers! 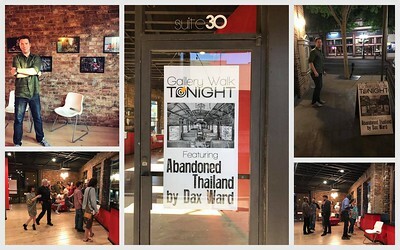 I had a solo exhibition on Friday in my home state of Arkansas in the US, very humbled and happy to be given the opportunity to display, discuss, and sell a few of my photos by my friends at Hot Springs Hot Spots in the fantastic town of Hot Springs. I really enjoyed discussing my pictures with so many genuine, inquisitive people. I really enjoy telling the story behind each of my photos as it lets me relive the experience of shooting. It was a killer experience and I hope to do other exhibitions in the future so that I can share my work and the stories behind each special person and place in them.